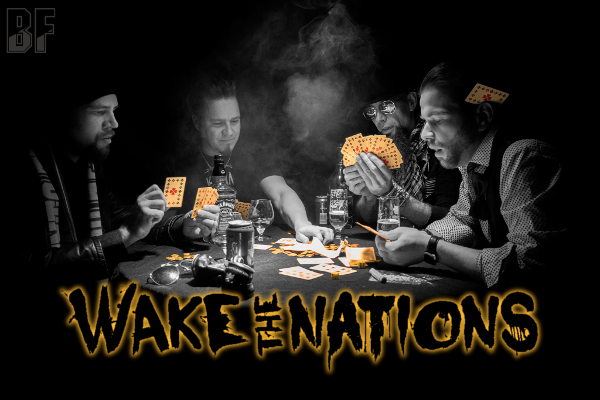 Finnish Hard Rock project band WAKE THE NATIONS will release their debut album entitled "Sign Of Heart" on January 30th 2015 through Inverse Records. 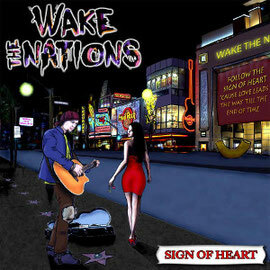 The band is created by guitarist Risto Tuominen (Human Temple, Villa Sucka, WallRoses) as his solo project, and the album "Sign Of Heart" features great artists from Finland and other countries. One of them, Dado Topić, is widely known as the singer who earned many awards not only in his home country but also in other parts of Europe. He won 'The best rock singer and song writer during the past 40 years in Croatia' award in 2006 and performed as a presenter of the Eurovision Song Contest in 2007. Only the song "Who Am I" on this album is sung by Risto himself. This album was recorded at Sammy's Studio and Risto's HomeStudio, mixed by Kari Nieminen in Noisecamp Studio's and mastered by Joona Lukala. You can enjoy 10 Hard Rock songs having the different tastes on this album.